I bought this camera sometime between 1986 and 1988 (can’t remember the exact year – I just remember who I was dating at the time, and I know we broke up in late 1988 😉 ). It is still, in my opinion, one of the best cameras to learn the basics of photography with. You can still find them in very good condition used, and there are dozens of different model lenses by many different manufacturers to be had for around $100 each. You will pay more for the lenses than you will pay for the camera, but that has always been true – the lenses are what count the most. 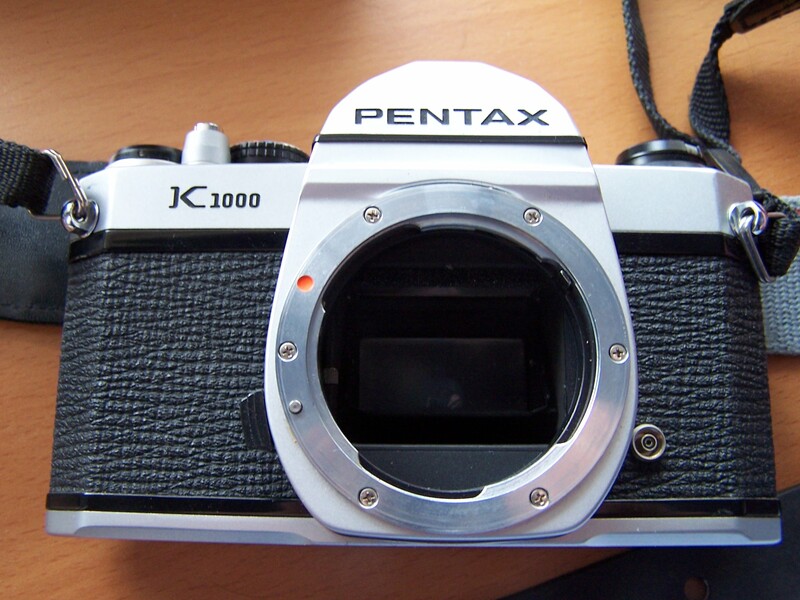 I believe some companies are still making new flash units that will work with the manual Pentax cameras. So, a complete photographic system can still be had for reasonable cost. I have a Nikon N80 film SLR that I also use. It is a fine camera, especially in situations where I need quick autofocus. 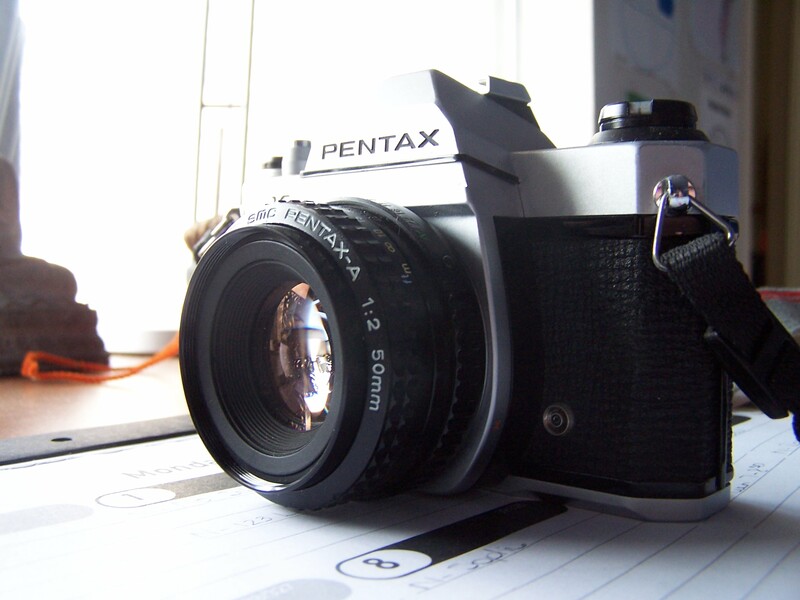 But there is something about this manual Pentax that keeps bringing me back to it. Maybe it’s because this is the camera that I used to teach myself how to take “real” pictures. I really couldn’t see parting with it, since it is in excellent condition even though I’ve only had it serviced once, about a decade ago. But I think it’s really the fact that the controls on this camera are very basic and intuitive once you get the hang of it. For instance, I prefer lenses that have an aperture ring on the barrel (not like newer cameras which use a control dial operated by the thumb or forefinger on the same hand you grip the camera with). On this camera, I can be walking toward a subject and adjusting the aperture at the same time, while I advance the frame and set the shutter speed. Then all I have to do is focus and take the shot. I can tell just by feel where the aperture is set. On my Nikon, I have to hold the camera to my eye and work the control dial to adjust aperture. Not a huge deal, but if I’m taking 40 or 50 pictures in a day, the routine gets old. 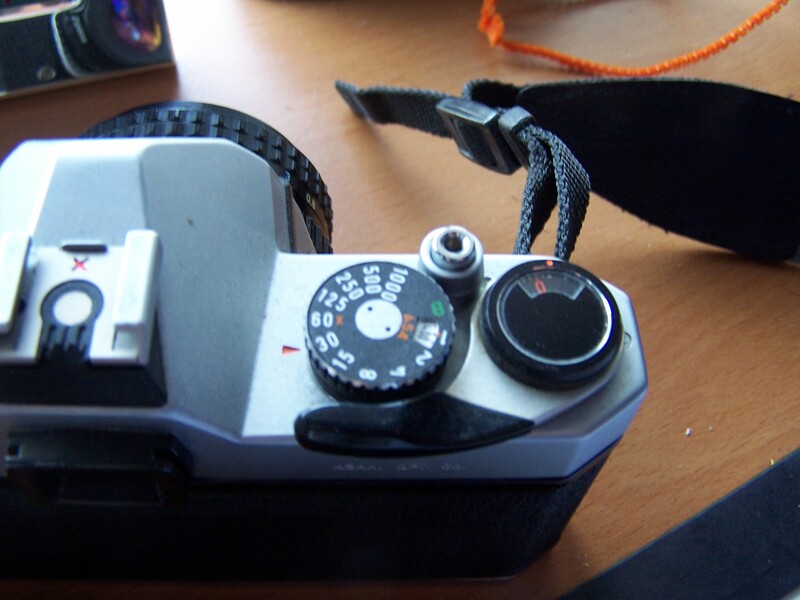 Shutter and film speed, frame advance and shutter button. No Modes here! The exposure meter in this camera is still my favorite. When you look through the big, bright viewfinder, all you see in terms of information is a needle on the right-hand side with a + sign up top and a – sign on the bottom. The needle moves up and down to let you know if you will be overexposed or underexposed. It’s very intuitive in the same way an analog watch tells you what time it is – you don’t really even need the numbers around the dial. Just the visual configuration of the hands gives clues, and places you in a time of day. With this meter, I don’t even look at it directly – it’s just in my peripheral vision. Bottom line: this is a great camera to learn on, use every day, etc. A K1000 with either the shown ‘normal’ lens, or a wide angle prime lens, makes a great walking around/street photography kit. Sure, a Leica is great, but unless you have at least $1500 burning a hole in your pocket, a Pentax makes a great alternative. Nice post. Makes me want to go to Blue Moon camera in Portland and look for one of these. I want to buy it. where I can do it. I was satisfied with the camera without a lens. You can find these cameras readily enough on eBay, for about $50. 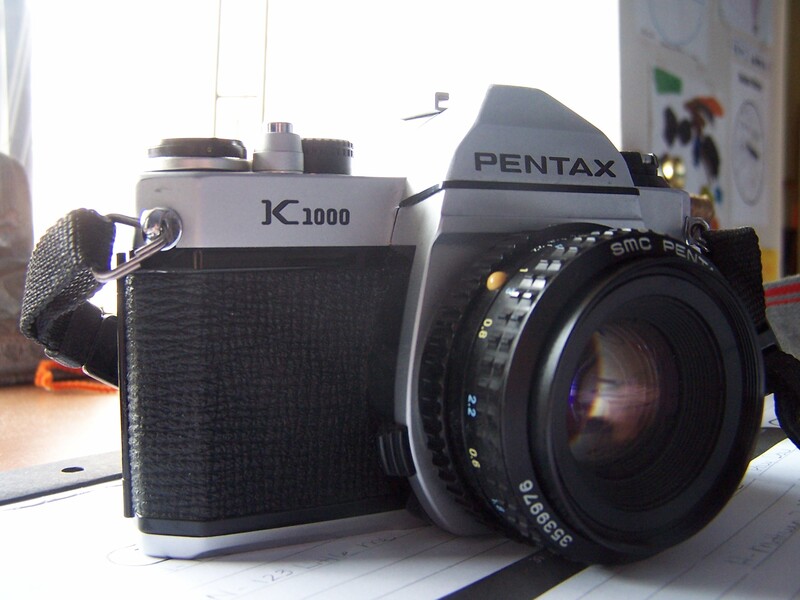 The K1000 was essentially a Pentax Spotmatic from the sixties with a K-mount for the lens. It was a top-line amateur camera then (Dorothea Lange used one) and it was amazing that it was so reasonably priced later on. And you’re right, it’s just what a beginning photog needed to learn the craft. Now, with all the Photoshop crap? Who knows?